What does Max off on Credit Card mean? A very embarrassing moment, as you pay in cash or by another card from your wallet. But what could be the cause? It is possible that your credit card may be maxed out. 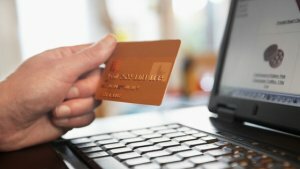 What is Maxing Out a Credit Card? Maxing out a credit card means the credit balance on the card is near or over the credit limit. Ideally, your credit card usage should be well below the credit limit. How do You Max Out a Credit Card? All credit cards come with a credit limit. This is the maximum amount you can spend on the card in one month/payment cycle. The amount is decided by the card issuing agency. When the user has used up all or nearly all of the credit limit granted to him or her, the credit card is said to be maxed out. At times it might seem acceptable to max out a credit card. about what constitutes such an emergency. Rewards: Sometimes users may be using credit cards to rack up reward points to redeem them for attractive options. Maxing a credit card to get as much reward points as possible is fine only when the outstanding amount is paid well before the due date. Can You Still Use Your Credit Card if it Maxed Out? This depends on the lending institution. Normally banks allow transactions beyond the credit limit after taking into consideration an individual’s credit card usage and payment patterns. Banks might charge an over-limit fee or limit the number of transactions allowed beyond the credit limit. What Happens if You Max Out a Credit Card And Don’t Pay? Maxing out credit cards and not paying sets into motion – a series of events best avoided. Fees and Interests: The first charge added is a late fee. This increases the minimum payment due. A longer delay sees penalty charges imposed increasing the outstanding balance. Interest rates also increase. Collection: Credit collectors will first start messaging you. Non-compliance will see them calling and visiting your home or office to find a mutually acceptable solution to the outstanding dues. The messages, calls and visits can get progressively rude. CIBIL Score: A maxed out credit card affects your credit score negatively. Your creditworthiness reduces and you may find it difficult to get loans. Repairing a CIBIL score is a long drawn and time-consuming task. A credit card late payment or default reflects on your credit report and remains there for seven years. In view of the above scenarios, it is evident that maxing out a credit card is not an ideal practice. Overdrawing on credit available and not paying can have serious repercussions on your credit history and should be avoided at all costs.